Gold Bridge's 'Pitch In' week - Conservation work through our family dude ranch! The Wilderness Stewardship Foundation (WSF) is a non-profit organization trying to preserve the natural beauty of the South Chilcotin Mountains by uniting all resource users in a collaborative conservation effort to protect this area for years to come. 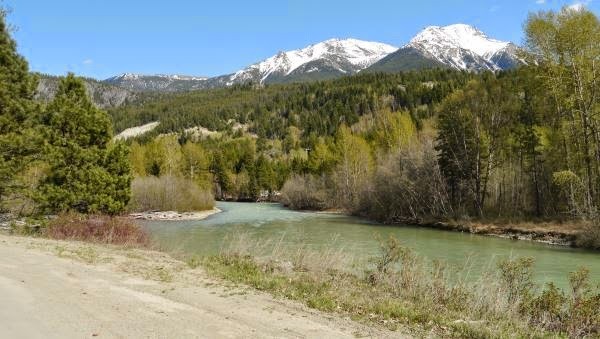 View of the Bridge River close to Gold Bridge - an area worth protecting! There are many ways to contribute to wilderness management and preservation in this area. Trying to make use of every opportunity the WSF was one of the first to jump at the opportunity to help clean the area during Gold Bridge's Pitch In Week - an effort to keep the roads and area of this community clean and create an awareness of a more responsible behavior with our garbage. 5 full bags despite the sign ' Do not dump refuse'. 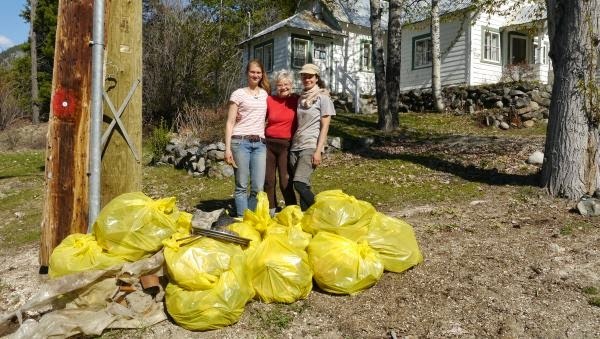 Four highly motivated volunteers spent 5 hours collecting garbage along the road, scrambling up and down slopes to make sure that everything not belonging into a forest would be cleaned up. The results a few hours labour would bring forward were quite shocking. Here at our family dude ranch, we sincerely hope that the communities efforts for a cleaner environment will not be in vain and that residents and visitors in the future will act in a more responsible way and use the facilities Gold Bridge is going to provide to keep the area beautiful and bear safe. 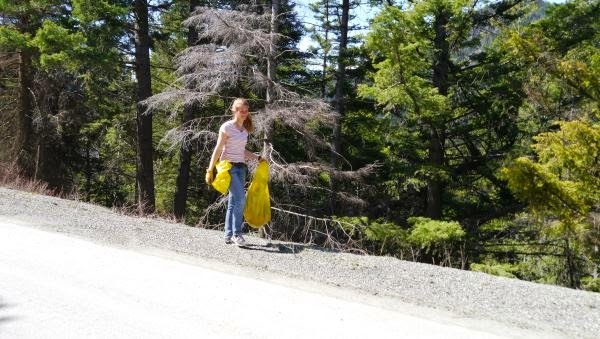 Volunteer Alina helping with the road clean up. 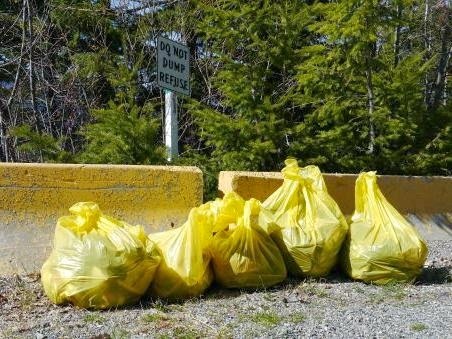 15 bags of garbage - found on along a 6 km long road stretch.